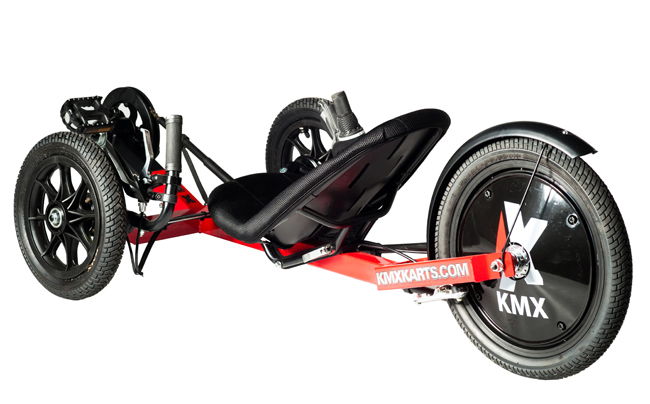 Finally, a recumbent trike for kids. 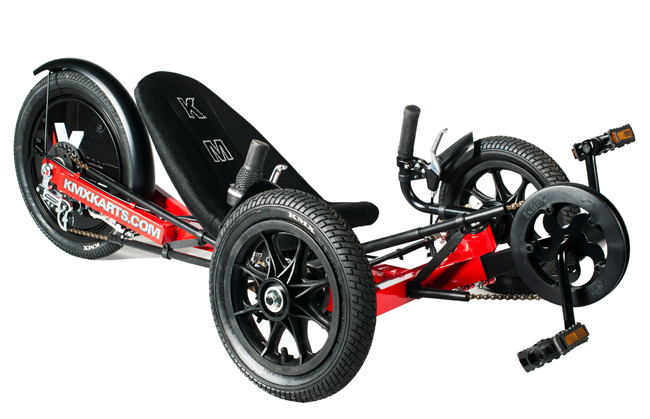 This super-adjustable 2-speed recumbent trike is made for the smaller folks. It will fit most children 4-12 years old. Shipped as a kit, it is easy to assemble. 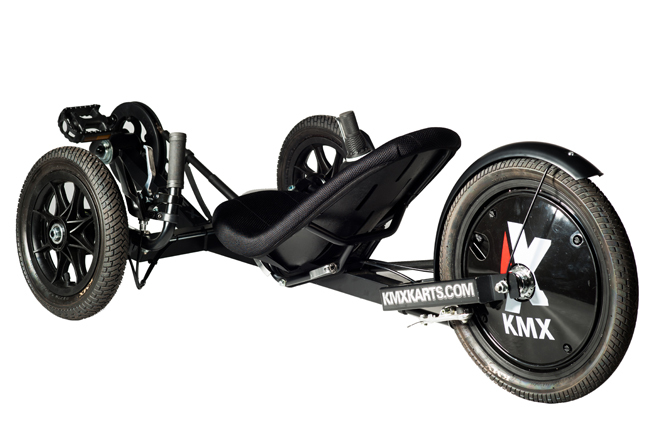 Despite its small size and affordable price, the KMX K-3 has many features that adults will love. The unique 2-speed shifting system makes adjustment minimal and eliminates maintenance. The integrated bash guard on the front crank keeps little body parts from the chain. Adjustable hand/mud guards protect the rider's hands as your little one maneuvers on the dirt trails or your neighborhood streets. 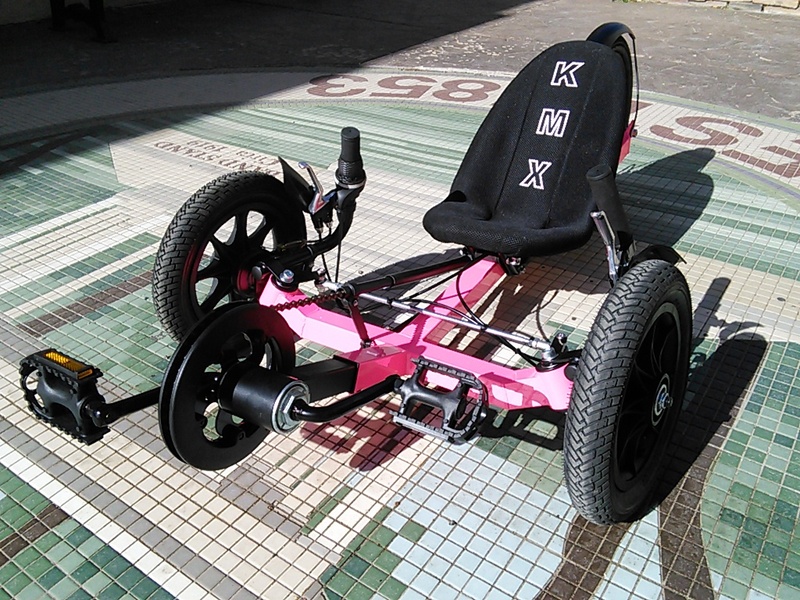 The KMX K-3 is very easy to assemble. Watch our assembly video and then save even more money and get the K-3 as a kit! Low centre of gravity and excellent handling. KMX bucket seat providing great support and comfort. 19cm (7.5�) of fast easy seat adjustment via quick release clamps and 60mm (2.5�) of sliding boom adjustment. Automatic self adjusting chain tube System. Very simple and quick assembly.